As the cruise business grows across the Asia-Pacific region, seaports are striving to develop the infrastructure and operations they need to keep pace. Trends in this sector of the cruise business will be discussed at Cruise Shipping Asia-Pacific Tuesday, Sept. 18, at the conference session Terminal Design & Development: How Deployment will Drive Infrastructure Investment. Melvin Vu, chief executive officer of SATS-Creuers Cruise Services Pte. Ltd., is to participate in the infrastructure panel. What do you see as some of the current trends in terminal design and operation? Melvin Vu: Parallel to the strong overall growth of the cruise industry in the region, cruise lines are significantly adding to the vessel capacity and are deploying bigger ships here. It is safe to say that various destinations in Asia are fast becoming integral to cruise itineraries — as such, the burgeoning cruise demand is increasingly shaping and influencing terminal design and operations. Firstly, we will see bigger terminals not only to accommodate larger ships but also the movement of a greater number of passengers. To do so effectively and efficiently, the introduction of more sophisticated technology is vital, and it should be incorporated in the cruise value chain, from bunkering and logistics provisioning to ground handling and immigration services. We also will also see greater integration between airlines, cruise terminal and cruise lines. Hence the infrastructure and technology to bring these three together will also emerge. At the Marina Bay Cruise Centre, we have made progress in trying to integrate air and sea with our Cruise Fly and Fly Cruise services. Integration with the surrounding infrastructure of the cruise terminal is also another crucial factor as terminals must be ready to safely welcome the larger generation of cruise liners. For us here at the Marina Bay Cruise Centre, we have been strategically positioned to take advantage of the surrounding deep waters, a large turning basin and lack of height restrictions. Moreover, it is important that the terminal connects with nearby commercial developments and facilities to provide a seamless experience for passengers. MBCCS is within the Marina Bay area that is teeming with tourist attractions such as the newly opened Gardens by the Bay and Marina Bay Sands, and we are also 20 minutes away from Changi Airport. As the cruise industry becomes a key driver in tourism, we will see cruise terminals taking on the status as architectural marvels, incorporating innovative and revolutionary designs that will be a talking point on its own. What are some of the major considerations when designing a new port (i.e., turnaround or transit port, seasonality of use, multiple uses such as cargo and passengers, etc.)? Seaward side — The terminal will have to ascertain what sort of business it wants to embark on – Will the terminal be purely for cruise ships? Or will it want to accommodate ferries, yachts etc. With that in mind, the terminal will then have to make the necessary concessions. Terminal side — Would the terminal be primarily for transits or turnarounds? For example, if the terminal is used mainly turnarounds then large spaces is required to lay down and sort the luggage. The terminal must have proper security processes too. Landward side — Sufficient space is important to accommodate transport options for disembarking passengers, whether it be a designated space and queuing area for taxis, waiting areas for private cars and vans, as well as coach bays. In the United States most seaports are operated as a department of local government. In the case of the new terminal in Singapore, your company, SATS-Creuers, earned the terminal management contract in a competitive bid. Are there advantages of contracting with a third party to handle terminal operations? MV: By contracting a third party to handle terminal operations, you are actually encouraging greater innovation, efficiency and growth of the cruise industry. In the case of SATS-CREUERS Cruise Services Pte. Ltd., we are a joint venture between SATS and Creuers del Port de Barcelona, a viable partnership where we capitalize on our respective competencies in gateway services and cruise terminal operations. Through our joint strengths and expertise, we are able to introduce and execute innovative solutions that the government may find challenging, and are in a better position to take calculated risks and investments to further grow Singapore's cruise industry. All in all, it leads to a more efficient use of resources, which benefits all stakeholders. What are some of the operational challenges facing terminal operators as the Asia-Pacific region grows as a cruise market? MV: The fundamental challenge is the optimal utilization of terminals and berths. 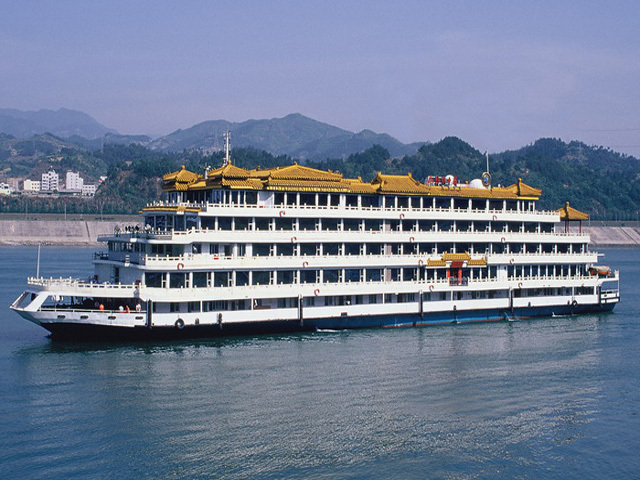 Compared to Europe and the USA, Asia-Pacific is still an emerging cruise hub so the terminals in the region have to work together to create a meaningful itinerary for the cruise lines. We are highly encouraged by the growing demand so the challenge now would be for terminal operators to develop the capabilities and resources to handle larger ships with increased passenger capacity. Once cruise lines see that we are able to cater to this demand, it will build their confidence to deploy more ships to Asia. Also slated to speak at Cruise Shipping Asia-Pacific are Christine Duffy, president and chief executive officer of Cruise Lines International Association; Ann Sherry, chief executive officer of Carnival Australia;Gianni Onorato, president of Costa Crociere; Roberto Giorgi, president of V.Ships, and Dr. Zinan Liu managing director China and Asia for Royal Caribbean Cruises Ltd.
Cruise Shipping Asia-Pacific is an annual event organized by UBM, organizer of cruise and maritime events including Cruise Shipping Miami, Seatrade Med, Marintec China, Naval Shore and Sea Japan. Cruise Shipping Asia-Pacific is supported by Asia Cruise Association, Florida–Caribbean Cruise Association, International Cruise Council Australia and has the exclusive support of Cruise Lines International Association, the global marketing and communications organization for the cruise industry.